I found these negatives on the sidewalk in front of my building. There were several pages leading in a row down the street, but I took only two. 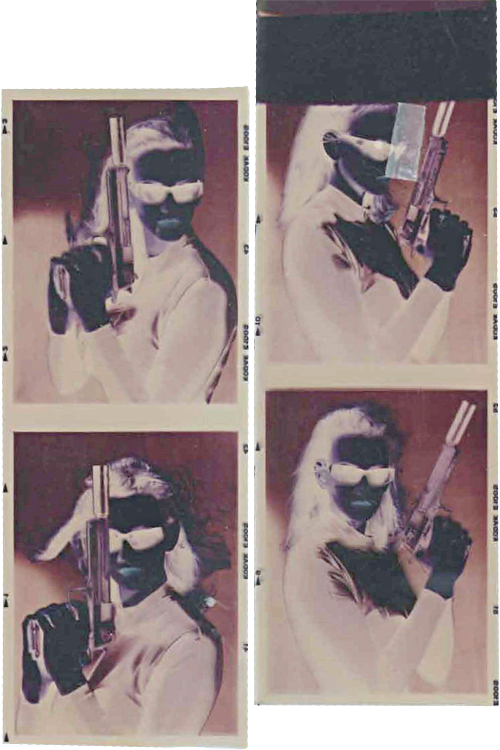 There were also some full body shots in which the model is holding two pistols with silencers and her hair is waving around, but that page didn’t scan so well. I’m assuming the negatives were discarded by a thief, or perhaps by the actual photographer. Ah, sometimes I love living in Los Angeles. Sometimes.